Domestic and commercial property owners and developers in the Hampshire area can now avail of the professional plumbing services offered by ADI Plumbers. 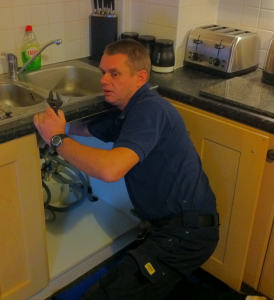 Our team of on-call plumbers for the Hampshire area look forward to helping you solve any plumbing or plumbing related issues you might have. At ADI we offer more than any standard plumbing company although we do obviously specialize in plumbing as our primary service to our customers. But we also offer leak detection and powerflushing as part of our approach to providing each of our customers with a complete service. Eventually your central heating system will get blocked by either dirt that’s gathered over the years or possibly even limescale. Our powerflushing tools clears away all traces of this dirt and limescale in the least messy way possible and leaves your heating system working more efficiently and quieter than it has in quite some time. If you suspect you have a gas, water or oil leak either inside or outside your property then our leak detection equipment and our plumbers can find that leak without having to dig a single hole anywhere on your property. A single free phone call to our customer care team now on 0800 731 3848 is all you need to begin the process of ending your plumbing nightmares.